I liked those cute marine nails you had done at the nail salon in Brentwood! Super cute! It’s clear why you love that salon. 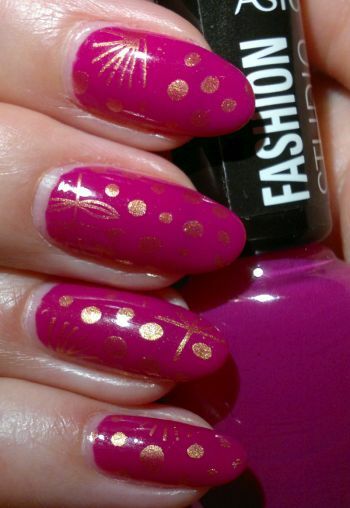 This registers so 80s to me – you just don’t see the fuchsia + gold combo as much anymore!